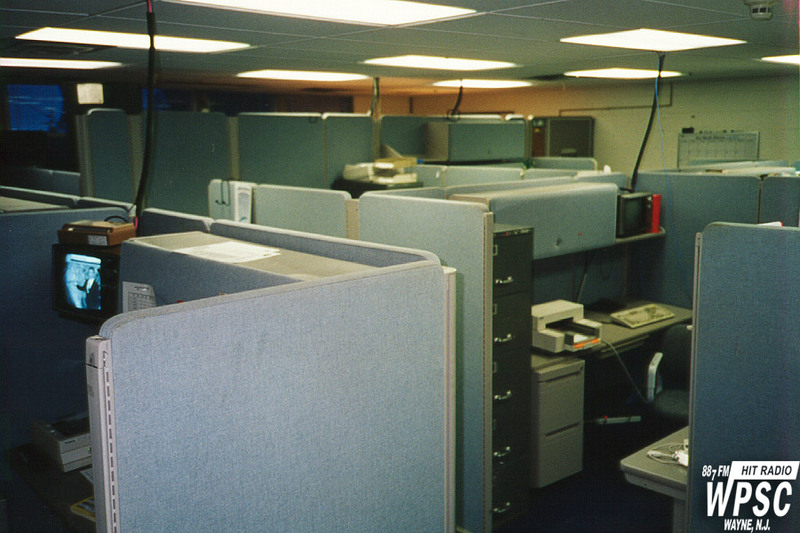 The WPSC-FM offices and cubicles. The tall wall at the back of the cube farm housed "Irish" John Kiernan's office. If, when you came in, you were summoned back there... it was not good.